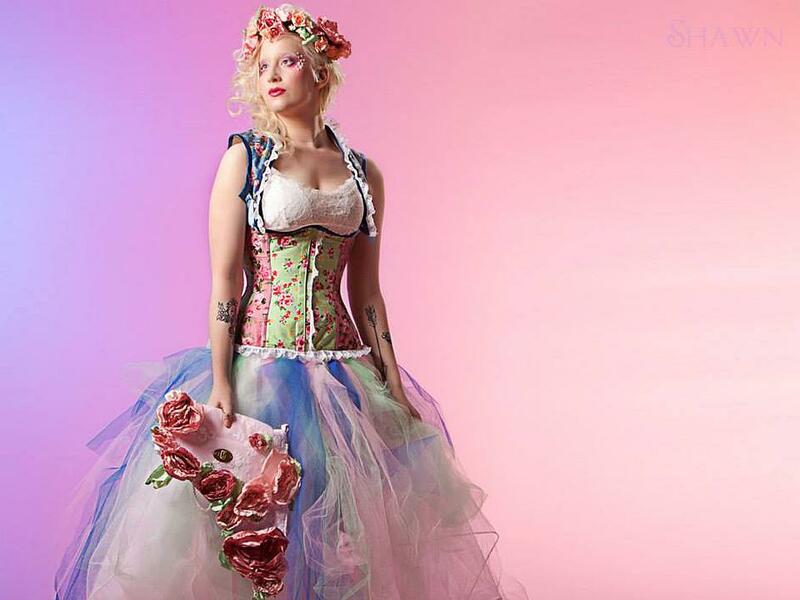 Candyfloss floral corset, Steel boned ‘Asylum’ high backed under bust waistcoat corset in mixed feminine floral fabrics with a lace trim. Full matching tulle skirt. Matching hair garland and handbag both embellished with handmade pink silk flowers.